At American Pearl one of the greatest rewards we receive each day is the opportunity to be part of the numerous joyful occasions our customers experience. From holiday gifts, anniversaries, engagements, birthdays, sweet sixteens or just because gifts, it is through you that we are reminded of the importance of the heirlooms we help you create. We are proud to be a part of this process and understand the responsibility you have entrusted us with to create these precious timeless pieces. 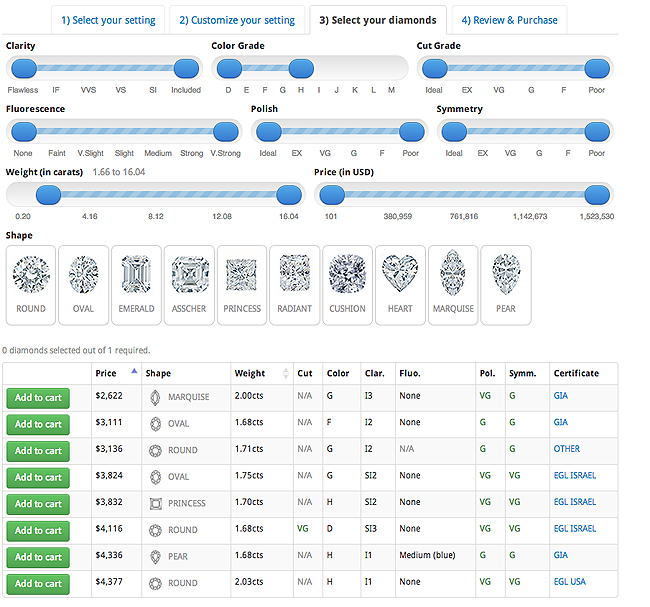 This year, we are introducing the jewelry industry�s most sophisticated jewelry customization tool available for most of our products online. 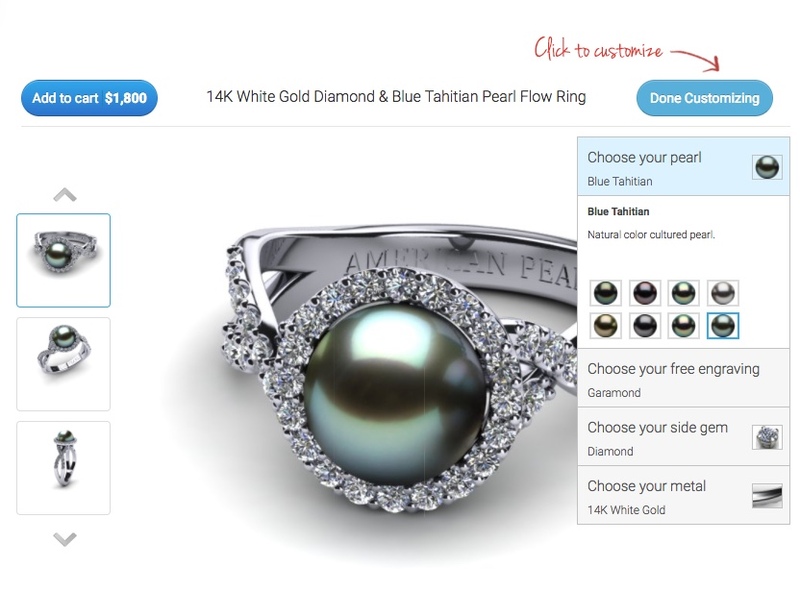 Now you can customize your pearl jewelry and diamond jewelry at the click of a button. Change the metal color you are interested from yellow gold to white gold, change the purity of the metal piece you are interested in from 14K to 18K or select from nearly a dozen different colored gemstones such as rubies, sapphires or emeralds. Watch as your creations come to life as you preview your changes online in real time on our website. Or, add a GIA certified diamond to your ring while browsing through a selection of tens of thousands of choices. American Pearl starts the jewelry creation process by using the world�s most sophisticated software technology found on AmericanPearl.com. It is here that our computer trained expert jewelry designers have designed the most sophisticated pieces paying special attention and detail to every millimeter. Using the interface on our website shown, you can change the metal kind, metal purity and metal color of the jewelry you are customizing. It is here that you can view every possible combination of jewelry you can imagine using multiple views, 3D animation and the exact size and weight of the gemstones and metals you are interested in. You can change your metal color from yellow gold to platinum or even rose gold. Change your pearl color from White South Sea to Black Tahitian Pearl. Choose your gemstones from diamonds, emeralds, blue sapphires or even rubies. You have full control of the finished product. You can engrave your item with your exact message and change the font to meet your exact specifications. Finalize your creation by placing your customized piece into the shopping cart knowing that American Pearl will deliver the finest quality jewelry available backed by our unconditional full money back guarantee. If you are designing your own custom diamond ring, earring studs or pendant, click the �Add Diamond� button to search through tens of thousands of GIA Certified diamonds available to you instantly on our search interface. A diamonds� brilliance and sparkle are dictated by the quality of its cut. A well proportioned diamond bounces back to the eye the maximum light that enters the diamond from the table. Discover how the cut of a diamond affects its sparkle and brilliance by searching through our diamond database and comparing the actual GIA certificates that will accompany your diamond to one another. Once you choose your diamond, our expert jewelers set your diamond into your custom setting by hand to complete your finished product.